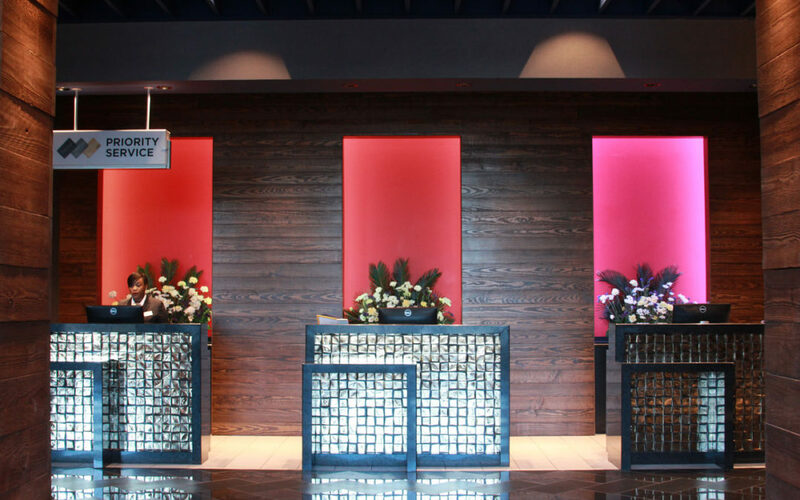 Custom guest services desks in the newly remodeled Montgomery Wind Creek Casino were fabricated by Surface One using Cambria Quartz. The mitered edges of the quartz countertops create a clean almost seamless design that extends down the sides of each desk to the floor. 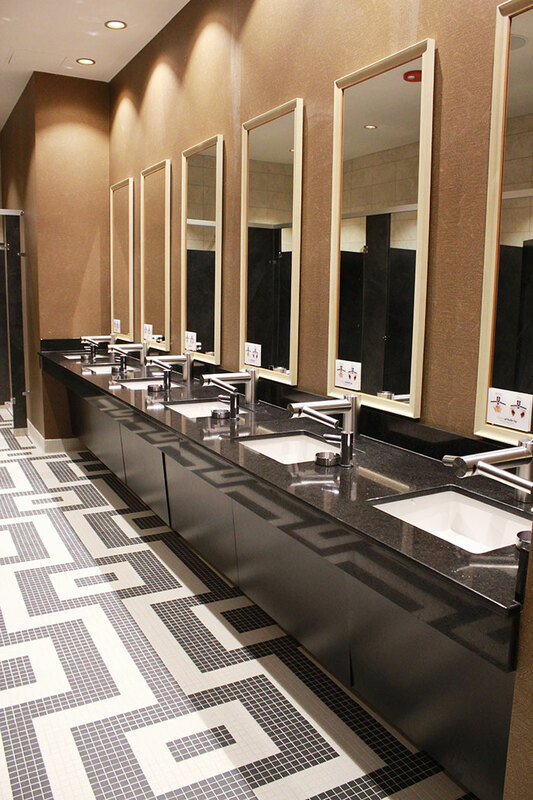 The deep black pattern of the Edinburough Cambria Quartz complements the vibrant metallic tile that it frames. 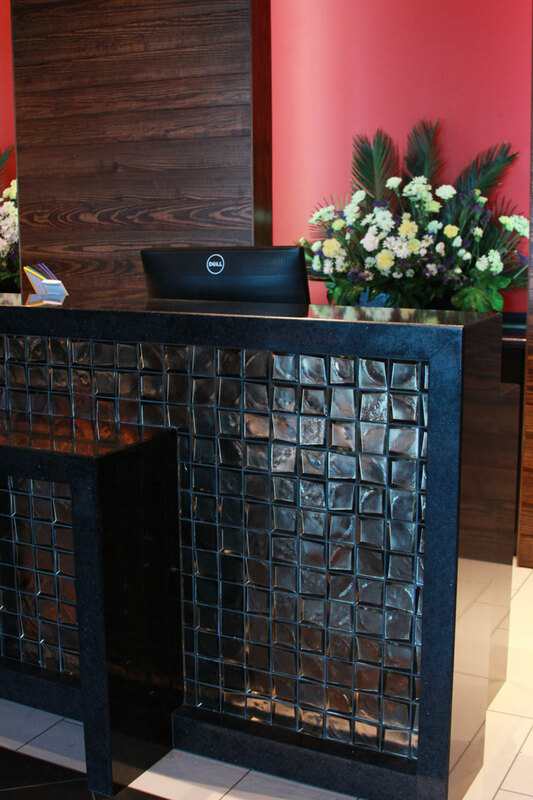 Cambria Quartz is a popular choice for commercial environments because it is a strong, non-porous material that is resistant to stains and does not need to be sealed. 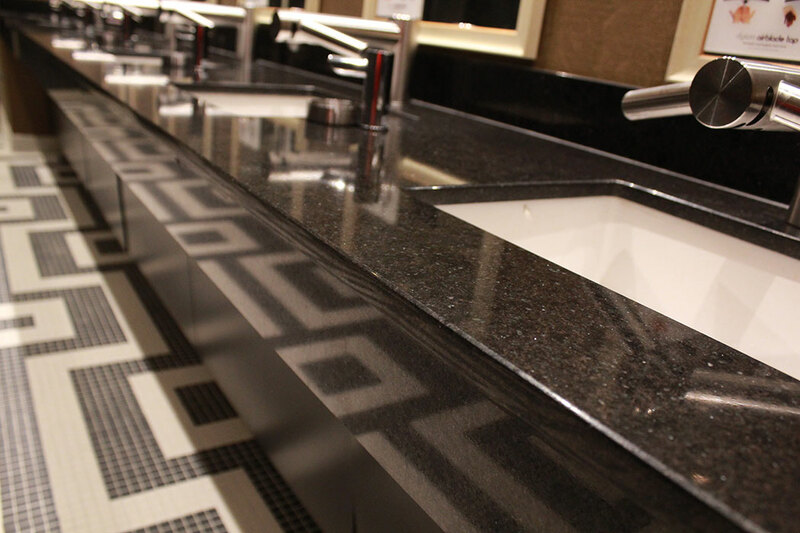 These newly remodeled Montgomery Wind Creek Casino restrooms feature Cambria Quartz in Edinburough and Bellingham. The rich black Cambria Edinburough adds style and sophistication while complementing a bold black and white patterned mosaic tile floor. The lighter Bellingham Cambria Quartz combines creamy undertones with darker waves of black and gray, adding a visual focal point to the bathroom. 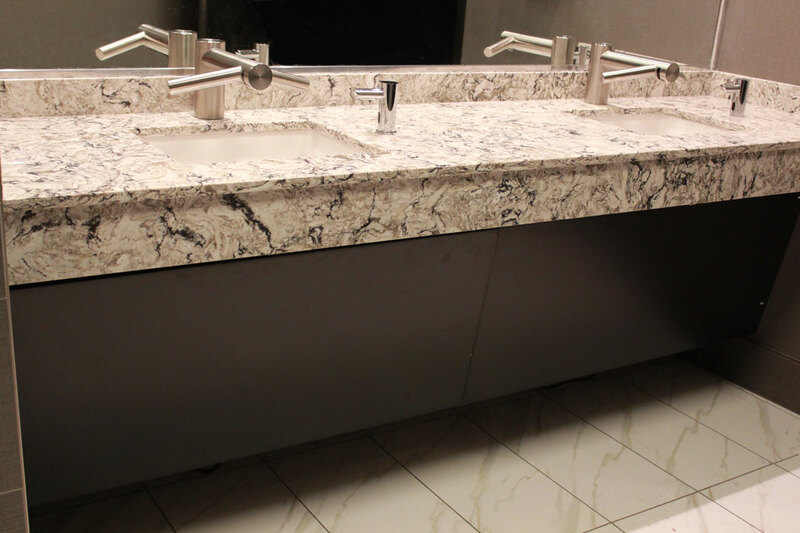 Cambria Quartz countertops are manufactured to be resistant to stains and bacteria. 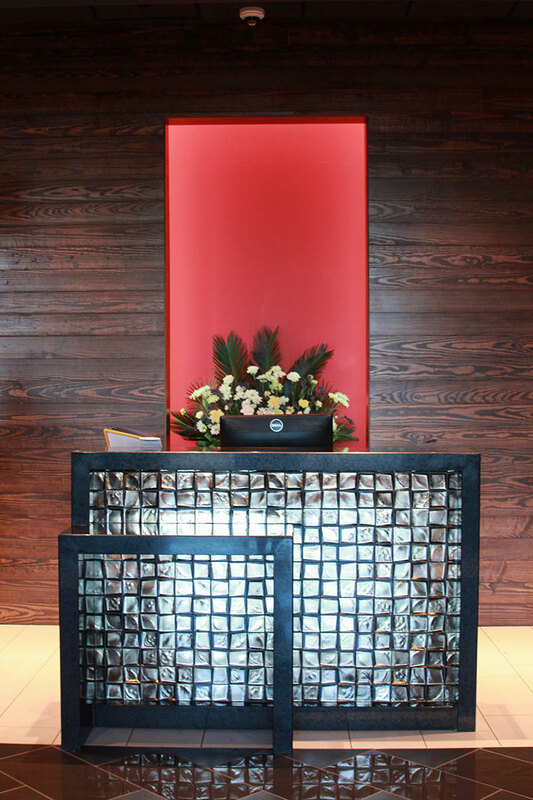 It is an excellent material for high traffic areas, such as commercial bathrooms, reception desks and food preparation areas.